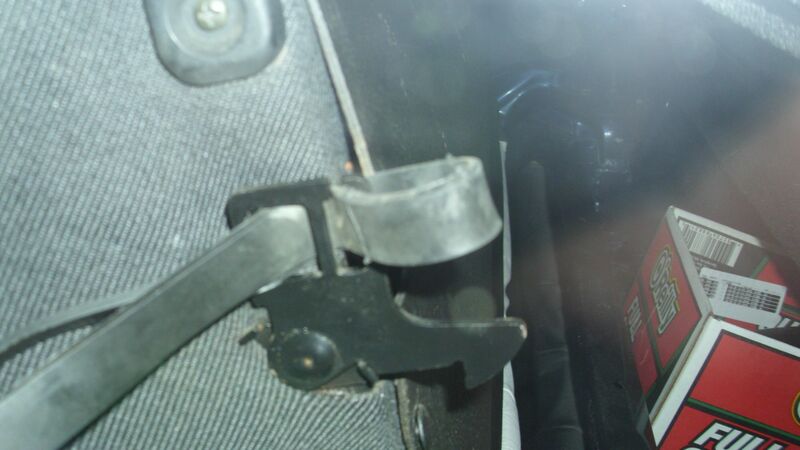 Rear Seat Latch Pull replacement. On my old bunny the seat back release strap broke, and I had a make do one that was just a piece of velcro looped until I found one in the wrecking yard. 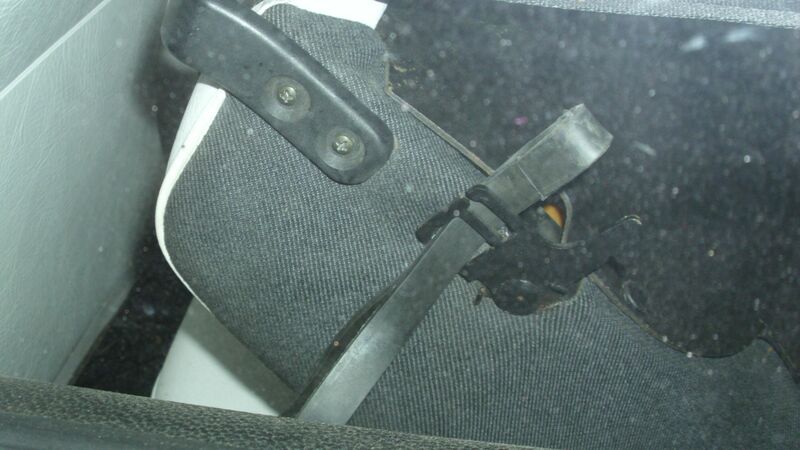 But as my new cabby was devoid of this I have got the fix. Remove the hooks and clean it. 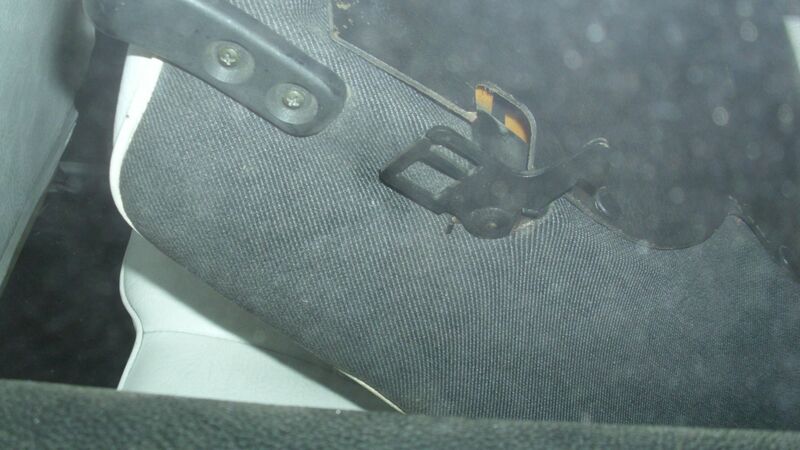 Using a Screw driver Driver Side of Seat pull or push the Lever and open the rear seat. 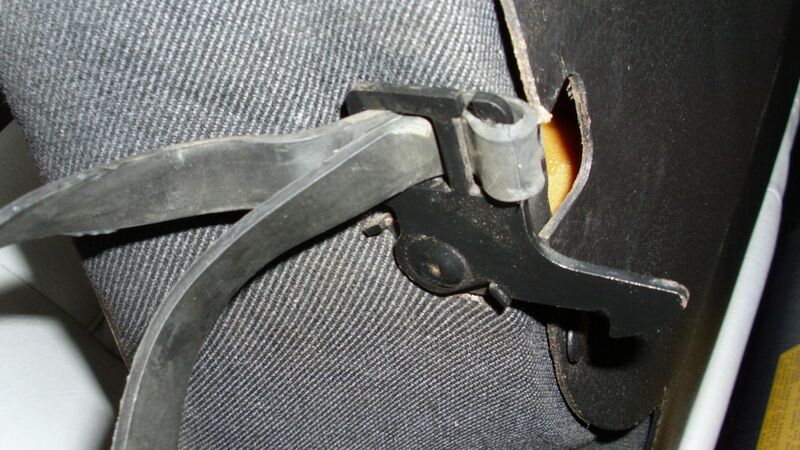 Take your Rubber Strap and push it through the Big Hole at the Front of the Seat Release. 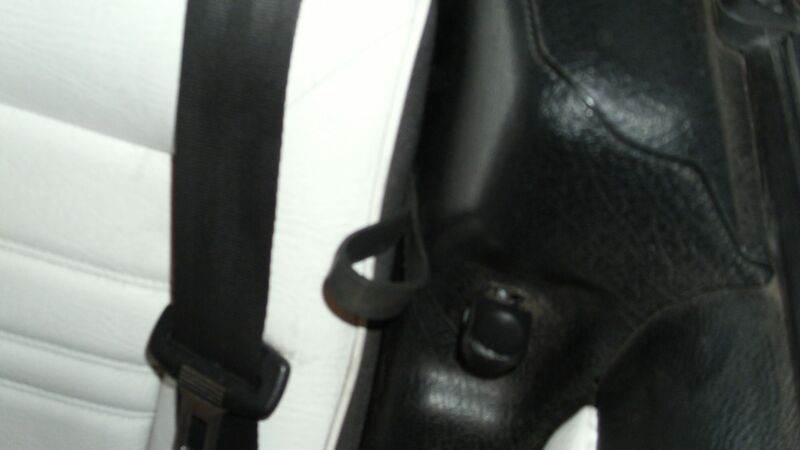 Place the Looped part at the rear over the single finger. Pull it from the Front to tighten it. Looks good. 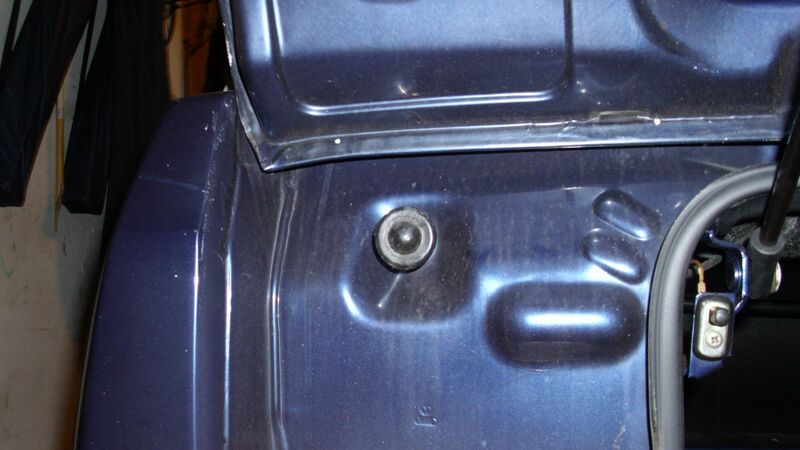 Quick, cheap fix 5 minutes.